Happy National Poetry Month! 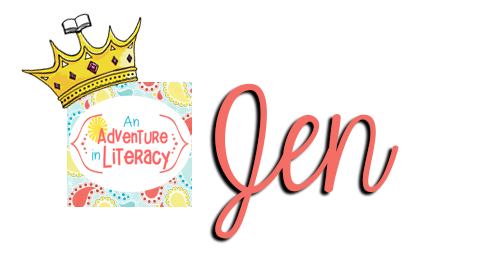 It's Jen here from An Adventure in Literacy. There are just a few days left of Poetry Month. 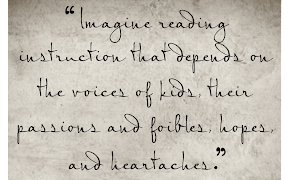 As quality educators, we know that poetry should be celebrated all year- not just in April. 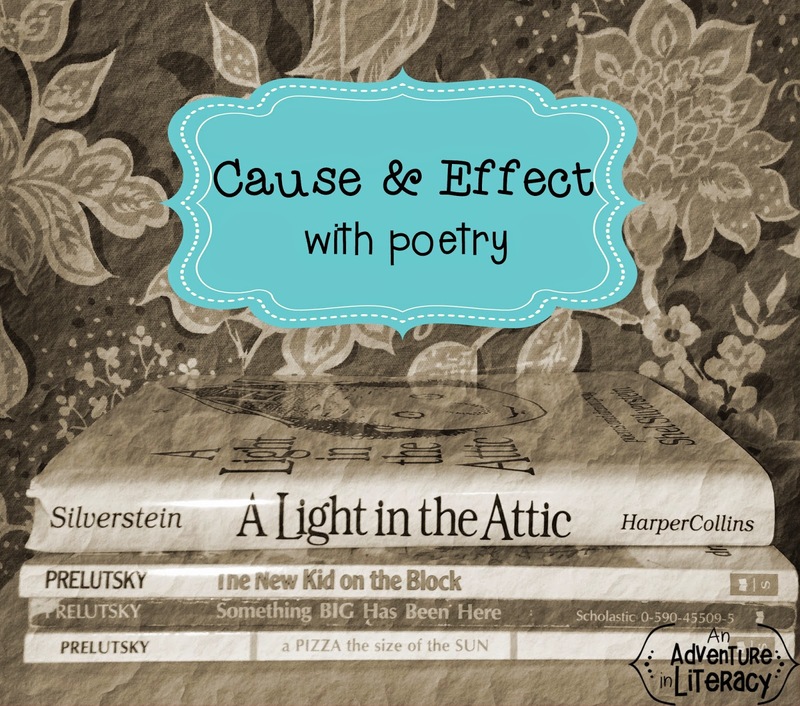 However, I thought I would end poetry month with some tips on using poetry to teach cause and effect. Poems are short and simple. That makes them perfect for practicing cause and effect. Two of my favorite poets for elementary students are Jack Prelutsky and Shel Silverstein. They are classic poets that I enjoyed as a child and my students continue to love their poems each year. Kids enjoy and appreciate the humor and silliness in their poems. In Jack Prelutsky's books there are a lot of short, four line poems. Many of these have a cause and effect that young readers can figure out easily. We create a chart of poetry cause and effect and add to it as we're reading the poems. Most of these poems are silly, so students really enjoy the fictional cause and effect scenarios. You can also use longer poems to analyze different causes for one effect . "I Should Have Stayed in Bed Today" by Jack Prelutsky is a great poem to discuss the causes of why the boy thinks he should have stayed in bed. 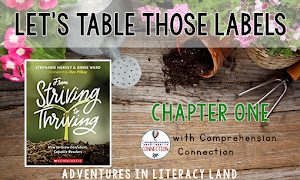 If you're interested in more great teaching ideas for cause and effect be sure to check out Bex's post on Literacy Land. Do you have a favorite poem to use for cause and effect? Leave us a comment and let us know. Hi! 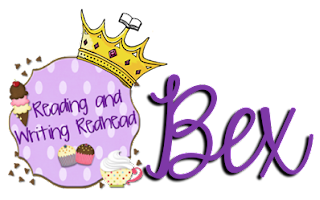 It's Bex here from Reading and Writing Redhead to talk a little about cause and effect. 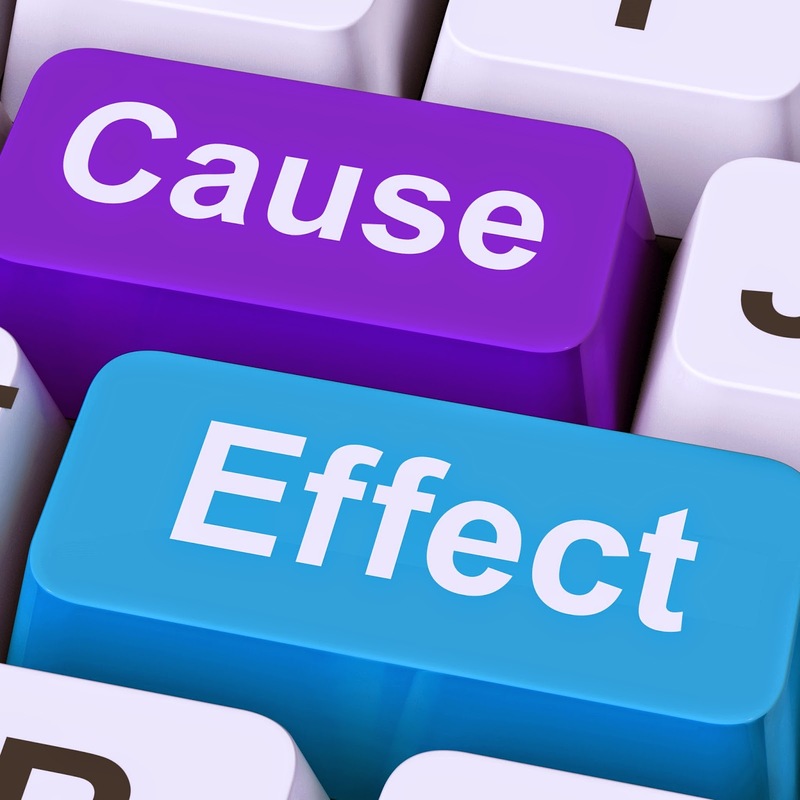 I don't know about you but my students always find cause and effect challenging - especially when I ask them to think in reverse-given an effect, what is a cause that could have led to it. Cause and effect is a type of analytic thinking that is so important for students to understand. It helps them understand why things happen the way that they do. Did you ever think about how many people grow up and take on careers in which they spend tons of time thinking about cause and effect? Some of the most obvious are detectives, doctors, psychologists, but what about electricians who try to figure out why the fuse keeps blowing, meteorologists who are determining why it is raining so much, entrepreneurs trying to figure out why their product is not selling, or how about us teachers trying to figure out why Susie is struggling with reading fluency when she has all her phonics skills down pat?! Understanding cause and effect is a lifelong tool. Students will not only need to understand it in school, but they need to be able to recognize it so they can understand what is happening in their personal life and the world at large-to understand actions and consequences and to describe what is going on in deep detail. Are you looking for some ways to teach cause and effect with your students? I rounded up some ideas from around the web for us. Take a look and please also comment and let us know how you like to work on this in your classroom! You can create a cause and effect chain link with your students. Cut out construction paper strips and have students write a cause from a book they read on one color of construction paper and an effect on another color, then join them together to for a chain. 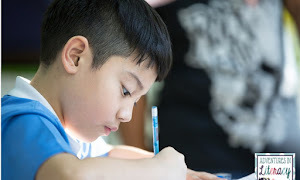 Students can connect a series of events from a story or book they read or something they wrote themselves. 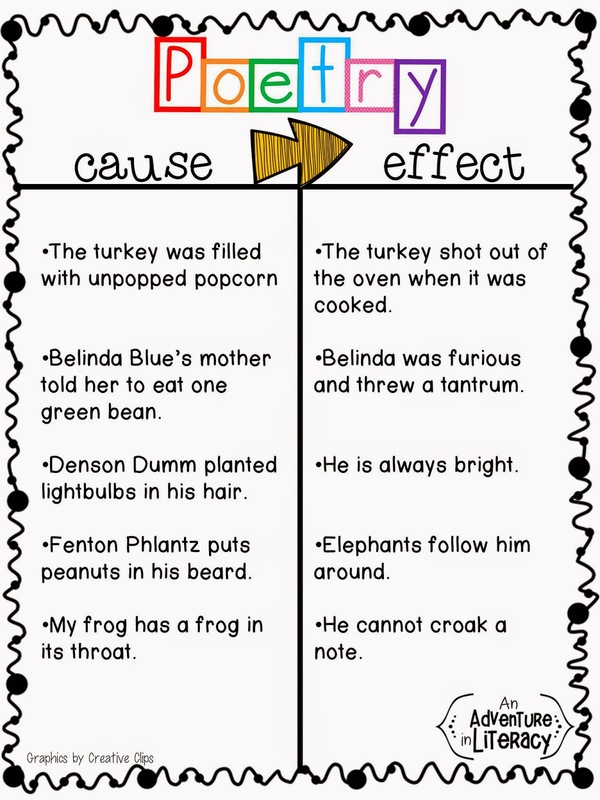 Some great ideas for teaching cause and effect involve manipulatives where students can move around causes and effects so they match up. Check out the great ideas and a freebie to use with the fabulously funny Click Clack Moo, Cows that Type over at the Applicious Teacher here. If you like to do crafts with your kids you might like a cause and effect project like this one for Diary of a Spider at the blog Tattling to the Teacher. Students would need to illustrate 4 causes and effects that relate to story events and then glue them onto the spider craft. Check that out here. I have a freebie you might like, too. It is a simple match up activity and you can grab it by clicking here or on the image. Anchor charts are really useful for students when they are trying to figure out new concepts. 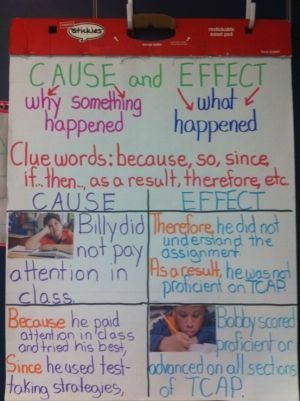 There are all kind of terrific anchor charts for cause and effect you could check out for ideas. This one has some great information and you could use it as a model for one you do with your own class. one It's origin on the web is unclear. 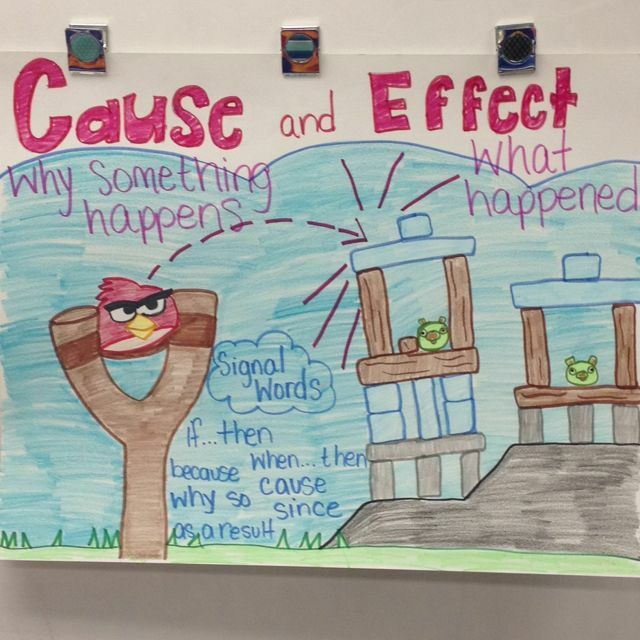 Here is another one with mystery origins - it is an anchor chart using Angry Birds to help illustrate cause and effect. I think this could be very successful! Or what about Minecraft? My students are obsessed with it and I think could talk to me in great detail about cause and effect in the game. And finally there are some terrific videos out there that can be springboards for lessons on many so many concepts. I found a video from Pixar called For the Birds that would be great for teaching cause and effect. Take a look!